No doubt we all love WordPress, its ease of use and awesome themes are so lucrative. 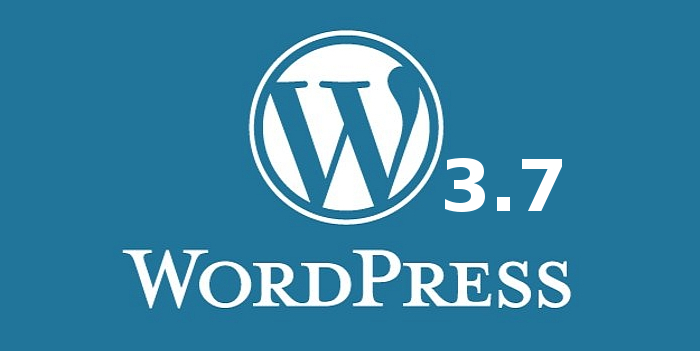 WordPress is soon to be releasing its new updated version of WordPress 3.7. Yes, you heard it right. Now you won’t have to worry about updating WordPress yourself. WordPress’ new version 3.7 will auto update itself. It is said that WordPress will update every night and send a notification email to the admin email address about what was updated and what was failed. The failed updates doesn’t mean that it will mess up with your website, but it will actually just stop WordPress from being updated. Of course it will provide you detail logs on why it failed so you can look for WordPress support forum for further help. A note to add here is that automatic updates mean the minor updates only, it doesn’t include the upgrade from 3.7 to 3.8. The existing search in WordPress was pretty much old fashioned and wasn’t really relevant in many cases for users. This time the new search is going to work more with relevancy. The search results will be based on more relevant data for users. Password strength meters are very helpful for people to set up a difficult password to secure the website and other accounts. In the new WordPress 3.7 release, you are going to get more stable and strong password meter. It will detect and try to help you set the password which you can memorize easily yet difficult for hackers to gain access to it. WordPress 3.7 has got much better support for multiple languages. English is always the primary language but WordPress has hundreds of thousands of users who are using it in languages other than English. In current version, users have to find the translation ready theme or do the translation themselves. In WordPress 3.7, the language files are separately maintained and it will be called upon your activation of themes and plugins. This means much better support and enhancements for language packs. Which of the features you love in WordPress? What do you think about the upcoming version of WordPress 3.7? Leave your comment below to let me know your likes and dislikes.